This is a blog post for a CopenhagenJS blog callout where we had to write a blog post on how we got started programming. This feels quite personal but also quite fun to write since I don't think two people ever have the same story. 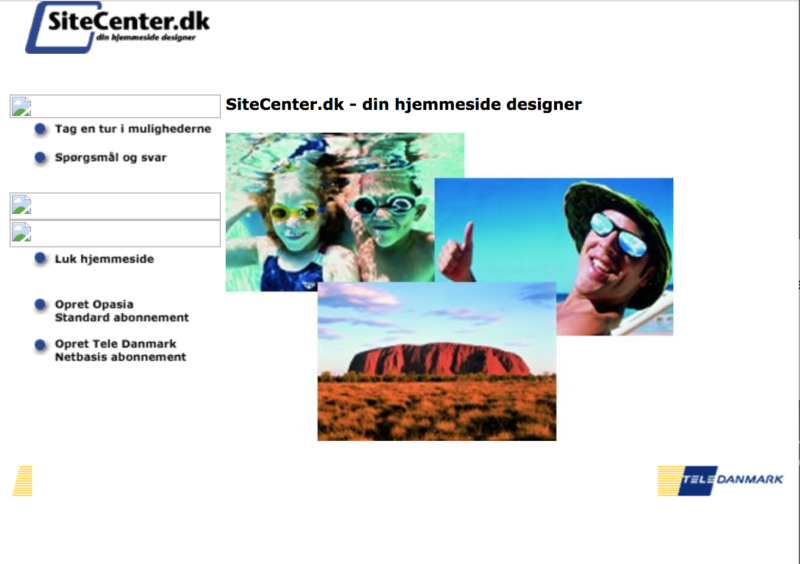 I can remember I made my first website on my parent computers with this website builder called TDC Sitecenter. This was just 2000 and my parents had gotten a ISDN modem, which meant fast and unlimited internet. I was never allowed to use the internet back then when it costed money per minute you were online, haha! It was a simple CMS where you could type in HTML and CSS into this small form field and then press save at the bottom. You got 10 MB space to upload images and text which seem like so much back then. However, there was a small problem that it was on my parents' account and I didn't know I could create my account. Later I found a website called webbyen.dk which was also an online website builder. At that site there were way fever limitations, you could create up to 5 pages on a free account but there were no limit on how long the page could be. You got your own subdomain on webbyen.dk and your website navigation was That site was amazing and the community was now looking back astonishing. On the frontpage you could see which sites had the most visit and it was often pages about horses or websites around Harry Potter where people would create Wizard schools. At some point my parents got tired of my using the main computer, I had my own computer but that was not connected to the internet so my parent drilled a hole in the wall so that a cable could go into my room and into my computer. Because it was all static HTML you had to use frames which basically allowed you to only load the sidebar and navigation once and only load the page that changed in the middle. I would publish these websites to these free hosting websites. These websites where awesome, you could create a user and you would get FTP access and a subdomain and you could do whatever you wanted. That felt truly like freedom and not like webbyen.dk where you had limitations. 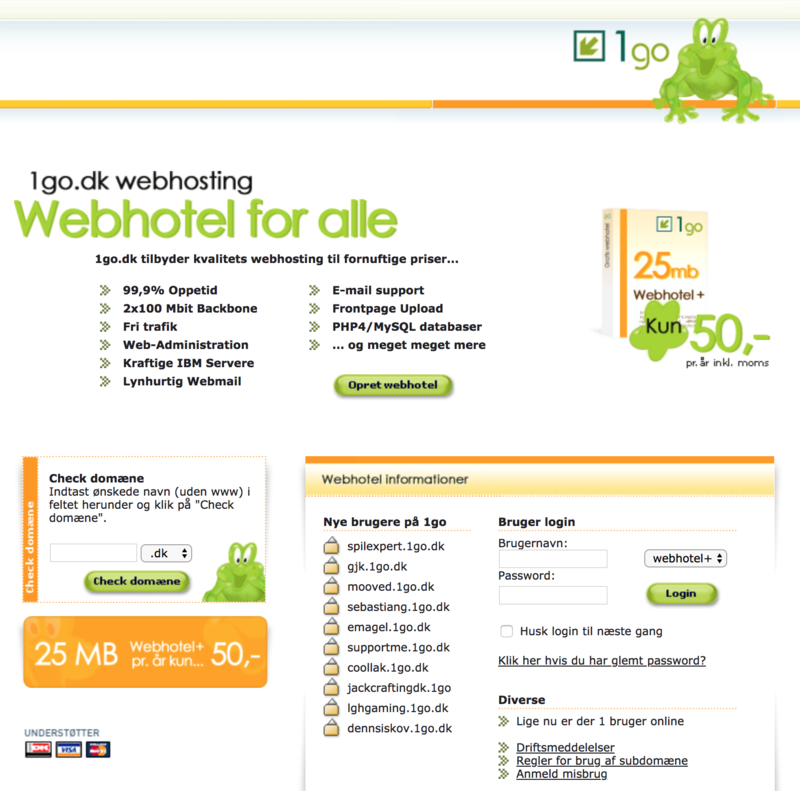 The first best host was 1go.dk where you got 5 MB for free, PHP and MySQL database, which was more than enough! Later I used frac.dk which gave you even more space and was faster. With these sites, you could configure these programs to publish with FTP directly to your site. 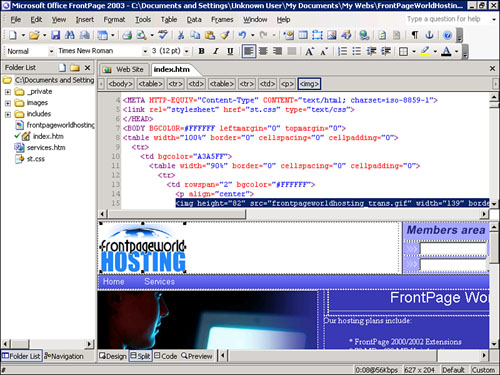 These hosts allowed to use PHP and I soon began to try to read tutorials on how to create dynamic websites. I would use Dreamweaver and write something, save the file, sync with FTP to the website and then reload my browser to see if it worked. Not so quick iterations. Now that I look back.. I think it is funny as it shows my trying out a lot of stuff and nothing of it was ever guided or helped. All this was information I found on the internet. I do remember making a lot of mistakes and spending lots of time debugging errors and figuring out why stuff was wrong. I did a lot of other things on the internet but one of the primary ones was programming and learning about programming. I was a bit weird in the sense that I never really liked games. I liked games like Age oF Empire and did play Counter-Strike, but I spent more than twice the hours just trying to learn programming on my own. Now when I look back I think joining some kind of community early on would have been awesome, some peers to talk to about your interest. I made a lot of stuff but it was never finished as I didn't know what finished was in my early days. I think it is important to have somebody to share with what you build. 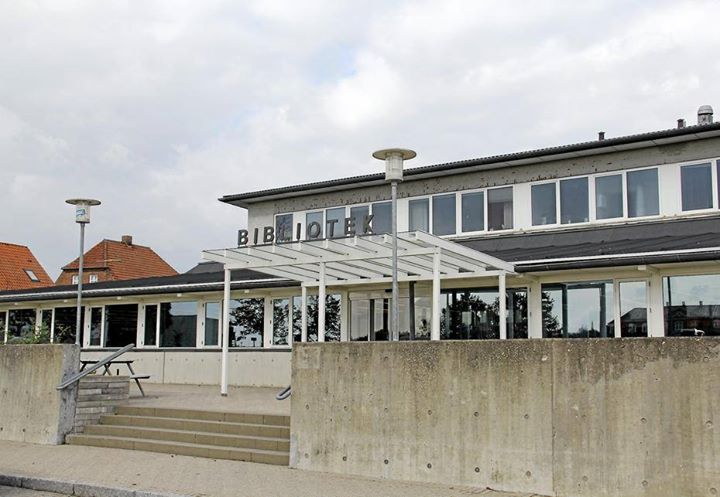 I did try to make games for a very short while, with a program called GameMaker which was a GUI that I had seen in Troldspejlet, but I never found it interesting weirdly, I was more interested in the internet and I remember that clearly! The idea of being able to build something that not just one person could use but a lot of people could use! I will end it of with I don't think my story is better than others. I think it is fascinating with programming and I believe if you started today or 2 years ago, that was the best time to get into programming! Each year programming get easier but there is also the danger that we get further and further away from the haydays of doing things the simple way. Creating today means something else than being creative 10 years ago, back then it was impossible to do something with images and videos like today, but I think it was easier to be creative back then because there weren't these hyper optimized websites and games that lure you in and takes all your time. Remember to do what you think is fun and learn and be creative the way you want, you can do anything you like!